When my best friend asked me a few weeks ago, whether I would like to go on a little roadtrip with her to Erfurt I immediately said yes! I love spontaneous trips to cities I've never been before and spending some time with her on the road before she is moving to Thuringia (4 hours away from Pforzheim) to start university was right up my street. We started our little 3 day roadtrip on a Thursday morning. 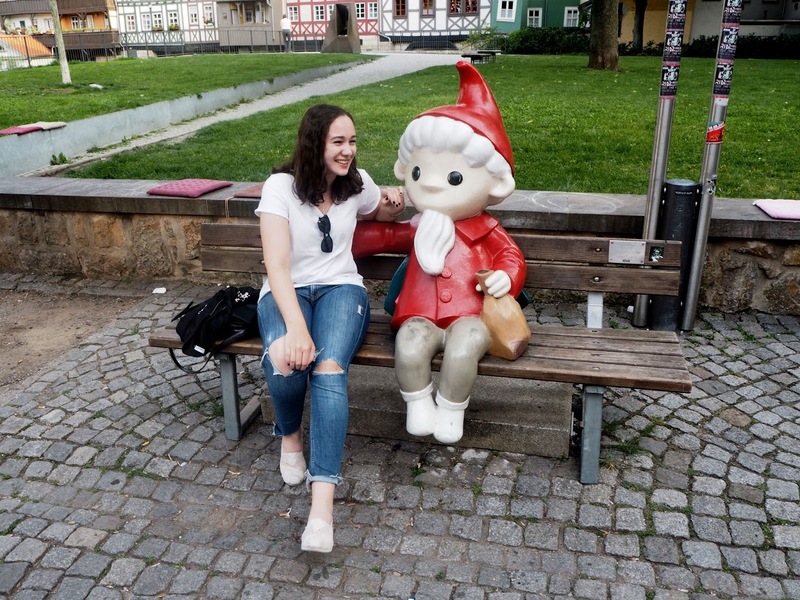 Our first pitstop was Ilmenau (where she is going to start uni) and after spending one night there, we continued our trip in Erfurt. 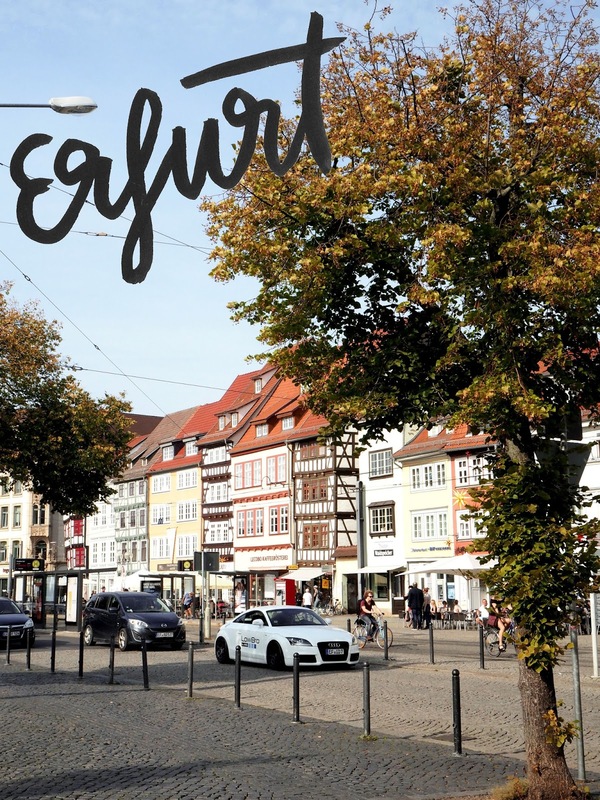 I've never been there before and I didn't really know what to expect - I only knew that Erfurt is supposed to be quite a pretty city. And it is! We absolutely loved the city, the architecture, the atmosphere. A great thing about Erfurt is that you can explore all the sights by foot because they are all close by. Also one thing we noticed is how green and clean the city is - so great! 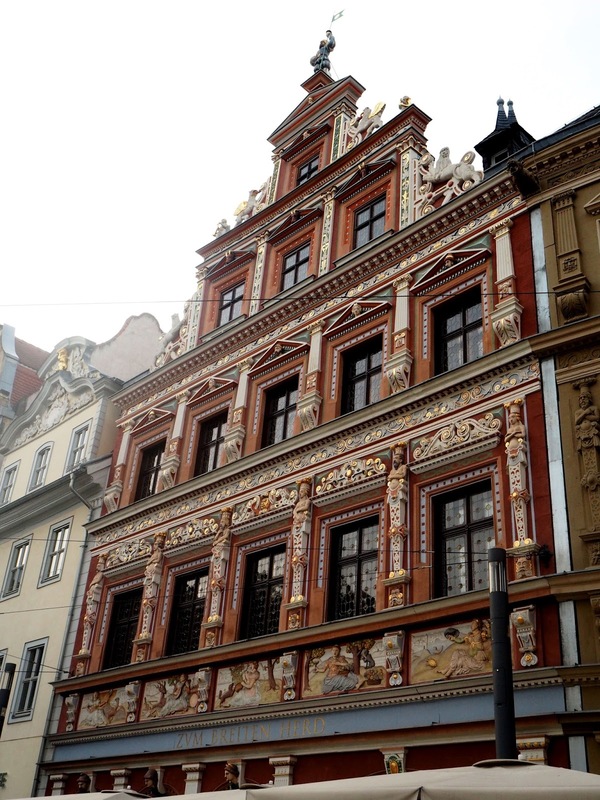 Erfurt is defenitely worth a visit, in my opinion. We had about 5 hours in the city centre and managed to see quite a lot, so it's a great city for a little weekend trip plus the city Weimar is really close by which is beautiful as well. 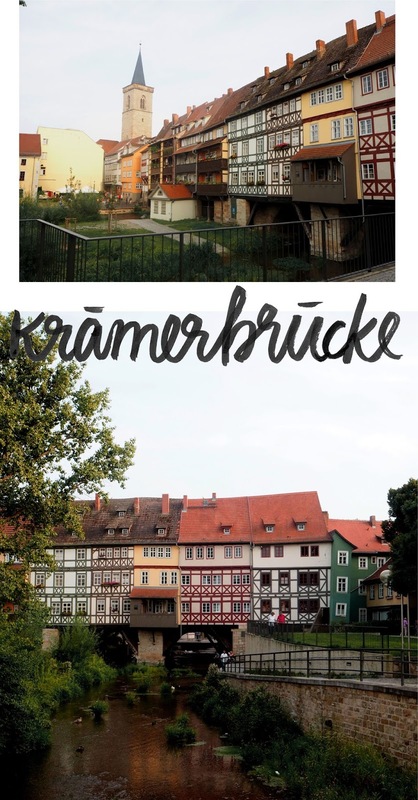 The Krämerbrücke is one of the oldest buildings of Erfurt and also one of Erfurts landmarks - so defenitely a must-see! It's a bridge but because of the half-timber houses that were built on the bridge, you think it's just a normal street when walking over it (or at least that's what happened to us!). In the buildings on the Krämerbrücke you can find lots of cute little stores and artisan shops, so defenitely worth checking out! 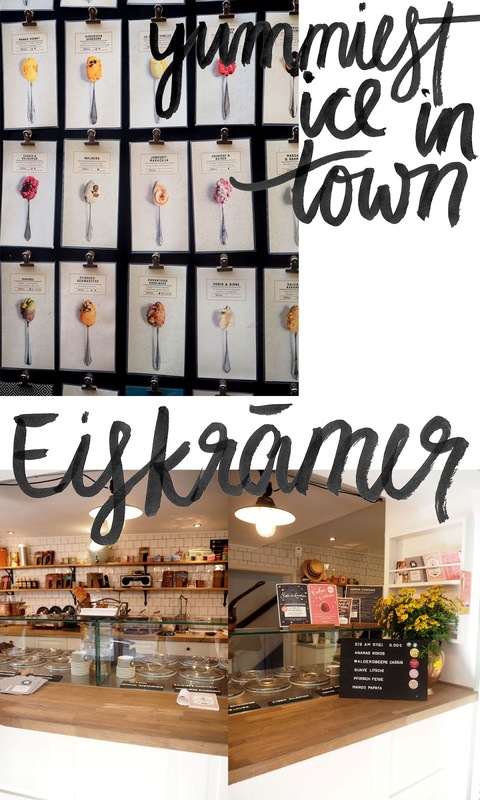 Also located on the Krämerbrücke is the Eiskrämer - where you can get the yummiest ice cream in town. It was recommended to us by multiple people! Although the queue was quite long ( about 10 people) when we arrived, we tried some of their icecream and it was amazing. The flavors are defenitely something special: I had blueberry mascarpone, but salted caramell and strawberry meringue were also on the shortlist. The ice is defenitely not the cheapest (the prices are different for each flavor, but they vary from one cone was 1,30€-2€) but the place looks so cute and the icecream tastes amazing. Once we arrived in the city centre of Erfurt, we quickly found our way to the Erfurter Dom, the cathedral of Erfurt. It is located a bit higher up than the rest of the city, so you can have a great view over the city. 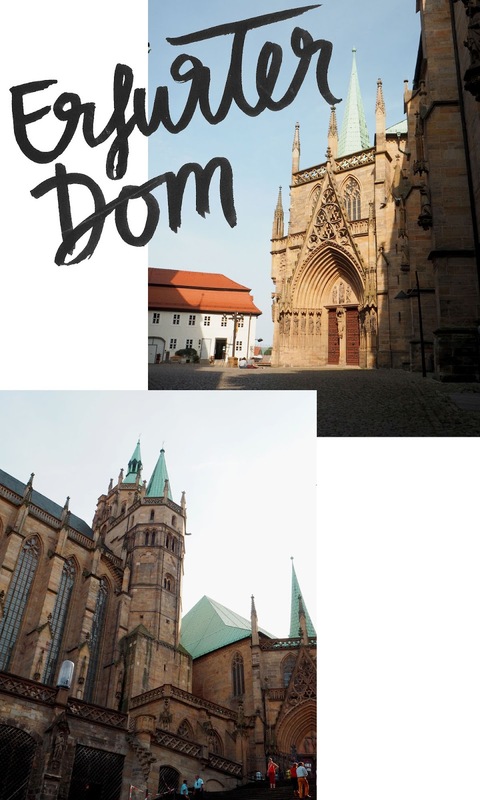 Unfortunately, when we were in Erfurt, there was an event right in front of the cathedral, so part of it was blocked, but nevertheless, this should defenitely be on your list when visiting Erfurt. 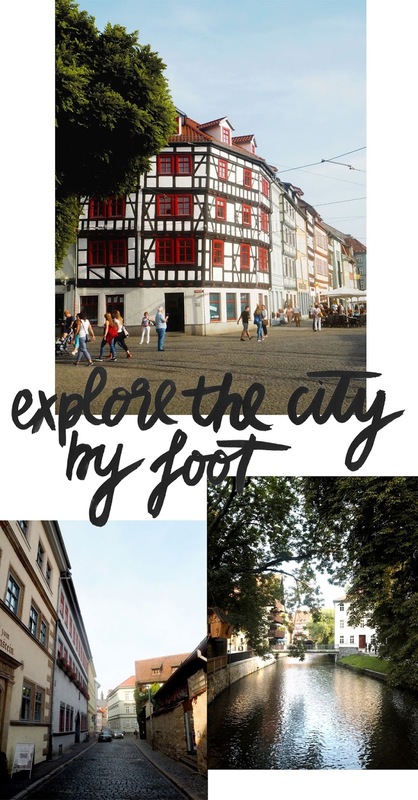 Another great thing about Erfurt is that you can really explore the city by foot - which I love to do when travelling. 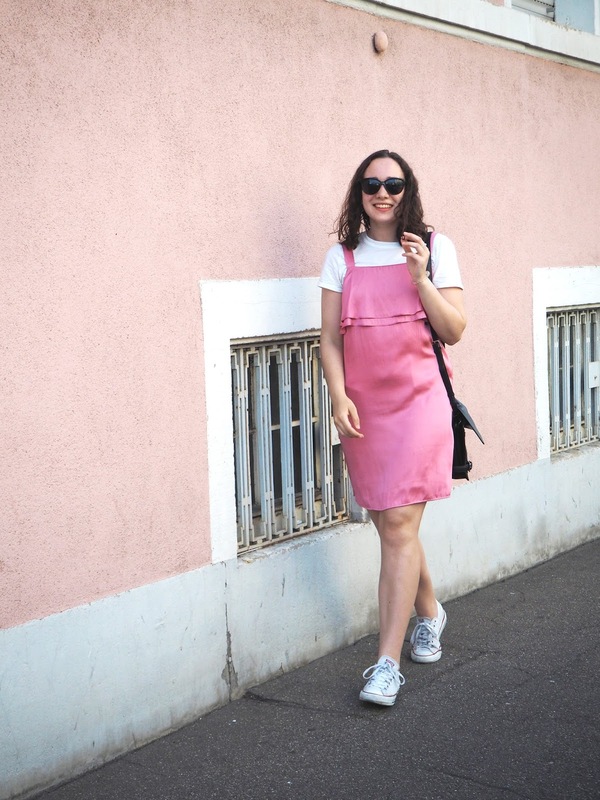 We stayed in a Youth Hostel about a 25 minute walk away from the city centre, so we hopped on the S-Bahn to get to the city centre and we arrived within only 5 minutes - so convenient. Apart from that little S-Bahn ride, we explored the city completely by foot. Because everything is really close-by, it doesn't take you long to get from one place to the other. Also, a lot of the places we went are for pedestrians only, so that is also a plus! That's so nice to read and I was absolutely the same! Erfurt wasn't exactly on my list of cities to visit in Germany, but it's defenitely worth a visit.